On March 14th officers and staff from Toronto Police Service’s 12 Division gathered at supercoffee to celebrate the work of four young photographers. 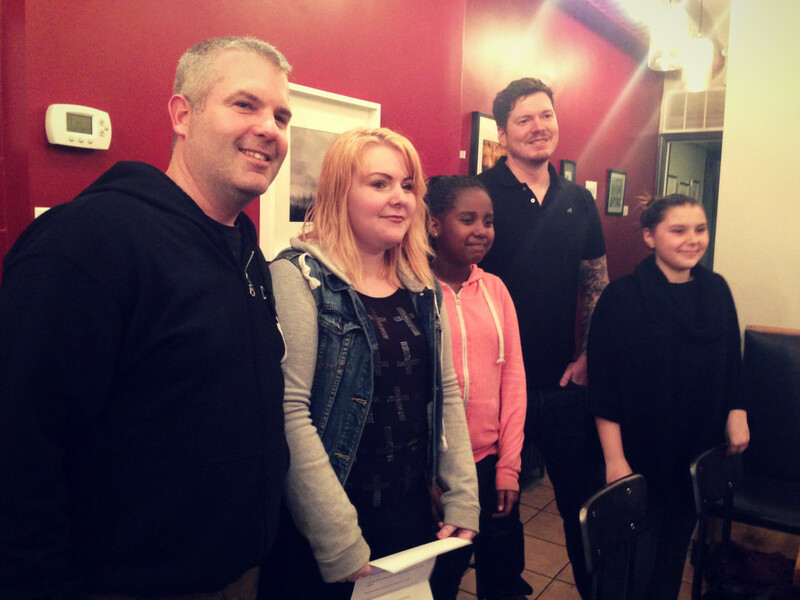 For the past few months Officers Shane Beaudoin and Adam Collyer have been leading the D12 Youth Photography Club, introducing Destiny (17), LaToya (14), Faith (14) and Tatiana (11) to the world of making pictures. They hit the road in a police van, exploring Toronto’s urban and natural landscapes. Other outings included a visit to a professional photo studio. The results of their efforts are proudly displayed on our walls until early May.